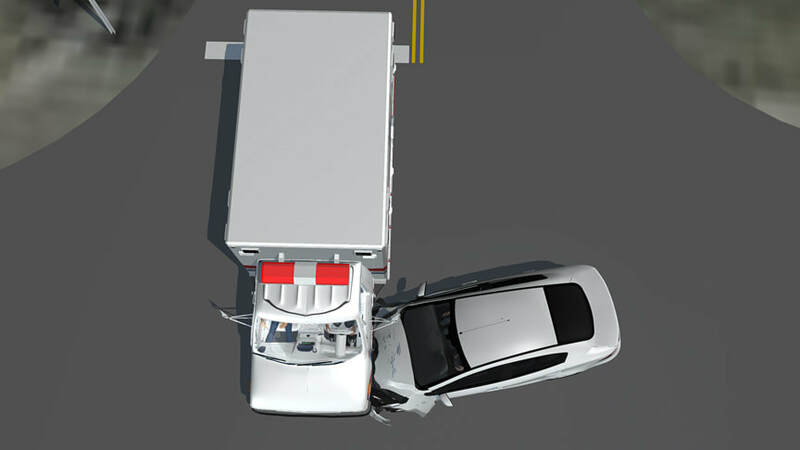 Side impact or "T-bone collisions" produce a high number of serious injuries and fatalities each year, second only to head-on collisions. Although airbags and seat belts are helpful, serious injuries often occur due to the force of impact and the body's inability to withstand forces that go far beyond it's normal range of motion. 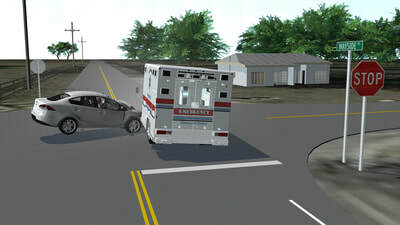 In the side impact collision portrayed below, we produced a compelling set of animation clips and storyboard images to portray just how violent this impact was and how it could have been avoided. 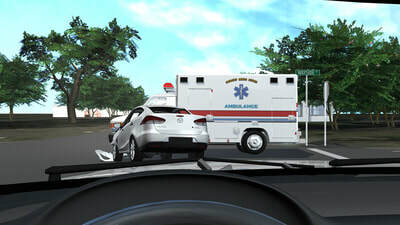 A deadheading ambulance rolled through a stop sign right into the path of a much smaller passenger car, causing life threatening injuries for the driver and passenger.